In the past I have begun each year with a reflective type post with a thought or two on the year that was and the year ahead, like these ones. This year, all I know about the year ahead is that it is a year full of possibility. With my youngest heading off to school for the first time (she is so excited! ), the oldest beginning grade five at a new school (she was lucky enough to receive a scholarship to the local private school – so proud), the middle changing schools (to one that is closer to our house since our move last year) and the hubby finishing off his PhD (it is due in a few weeks!!?!!) and going back to his crazy work hours, it is a year of change and a new era for all of us in a lot of ways. I have no idea what it will contain but I have a few ideas and hopes for this bloggy space as well as dabbling in some party planning and crafty projects and getting my kids (and myself) through the changes that this year will bring, along with more space to breathe and slow down and maybe get more than boiled eggs and soldiers on the table for dinner each night. I’ll still be in holiday mode until school goes back and then it might take me a wee while to get us all settled into our new schools and pace of life but then the plan is that I’ll visit this space on a more regular basis in the year ahead. If you happen to be on instagram or facebook then you’ll know that I’m a lot more regular over there. They are like a quick form of blogging on the run. 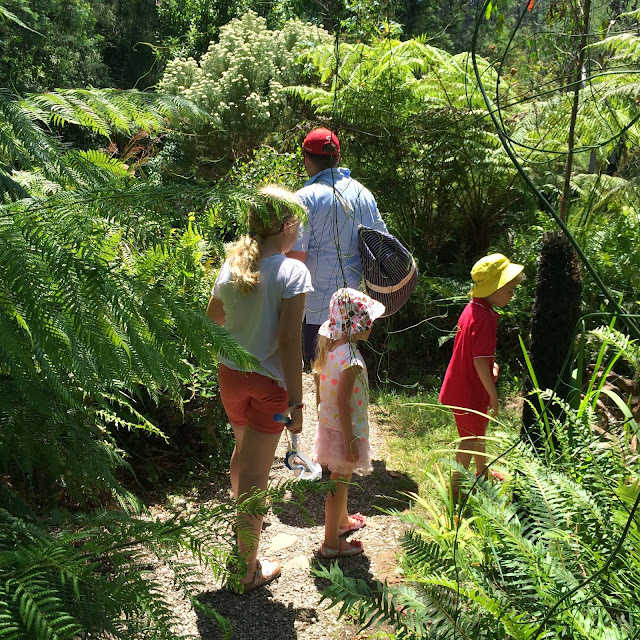 * My family looking for terracotta sculptures at Bruno’s Art & Sculpture Garden on a recent visit to Marysville, Victoria. I don&#39;t what this year holds but I&#39;m excited that their will be some more time to learn new things. Get better at getting my camera off auto, Master some adobe software, and learn some more crochet. Gah! My husband was logged into my computer – that was really me, above!